A woman who struck and killed a pregnant woman in Fort Lauderdale was sentenced to 15 years behind bars Friday. Rosa Rivera Kim, 37, will also serve 15 years of probation and will have to pay restitution of $7,583, a judge ordered. It was also revealed Friday that Kim is five-months pregnant herself. 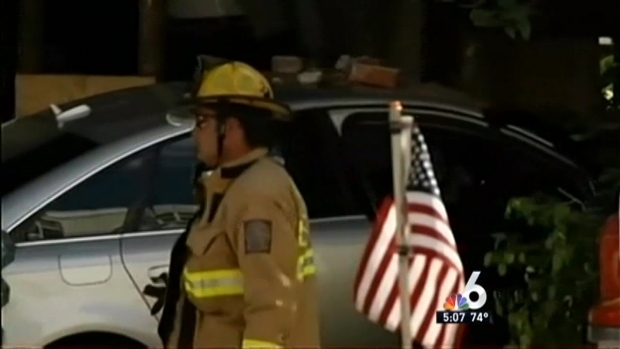 Rivera Kim was facing charges including two counts of DUI manslaughter and DUI property damage in the March 2012 crash that killed 26-year-old Alanna Demella at the Riverside Hotel on East Las Olas Boulevard. At Friday's sentencing hearing, Rivera Kim mostly kept her head down and wept at times, as a psychiatrist recounted her tough childhood, saying she suffers from PTSD and a multiple personality disorder. 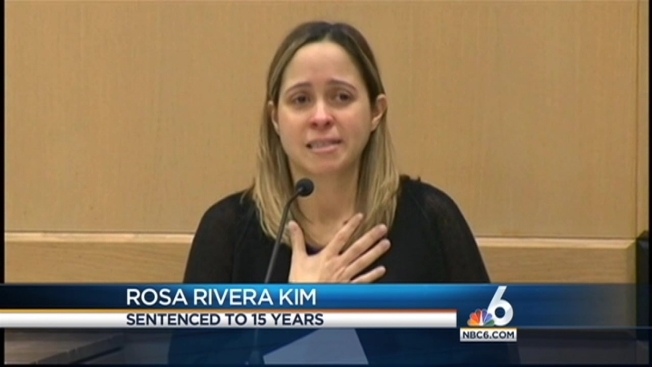 The sentencing hearing begins for Rosa Rivera Kim in a fatal DUI case that killed a woman in Fort Lauderdale. "The stepbrother reported that his stepfather got drunk on a consistent basis," Dr. Stephen Gold said. According to police, Rivera Kim was driving westbound in the 600 block of Southeast 4th Street when she lost control of her car, veering off the road and into the cabana at the Riverside Hotel. Rivera Kim's car struck and killed Demella, a Medford, Mass. resident who was seven months pregnant, according to a report. Officials said Rivera Kim’s toxicology results revealed she was driving under the influence of alcohol and three times over the legal limit. According to an arrest affidavit, Rivera Kim told police she was having lunch with her husband prior to the crash and had ordered an alcoholic drink. She admitted to getting into an argument with her husband that day and leaving the restaurant alone in a 2006 Audi sedan, the report said. Police said Rivera Kim's car was traveling in excess of the 25 mph speed limit when she crossed over the east lane, over the sidewalk curb and plowed into Demella.